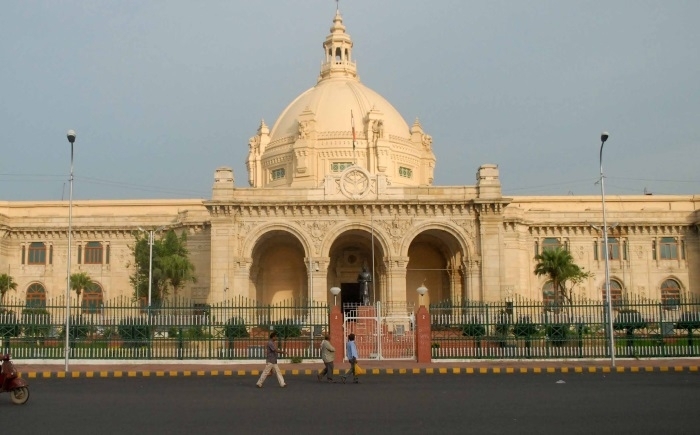 Lucknow, January 24: Uttar Pradesh celebrates it's 69th foundation day today. To celebrate the occasion the main function was organized at Awadh Shilp Gram in Lucknow. Uttar Pradesh Governor Ram Naik and Chief Minister Yogi Adityanath along with members of state cabinet grace the occasion. Uttar Pradesh was earlier known as United Province but through a Gazette notification, it got its name of Uttar Pradesh on January 24, 1950. Last year, Uttar Pradesh celebrated its first birthday at the age of 68, as Vice President Venkaiah Nadu inaugurated the first 'UP Diwas' to begin the two-day celebrations in Lucknow. Uttar Pradesh joined other states like Madhya Pradesh, Nagaland, Chhattisgarh, Bihar, Rajasthan, Odisha, Haryana, Punjab, Tamil Nadu, Uttarakhand, Sikkim, Goa and Telangana who also celebrate their Foundation Day.